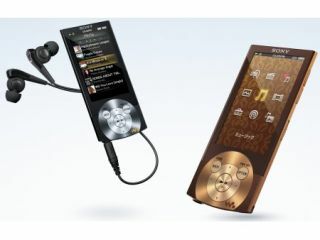 Sony has shown off its latest additions to its A-series Walkman range – the NW-A845, NW-A846 and NW-A847. Available in both black and brown, the players sport a 2.8-inch WQVGA OLED screen, TV-out function and audio niceties which include DSEE, Clear Stereo, Clear bass, and lyric display. Both the NW-A846 and NW-A847 support MP3, WMA, AAC, HE-AAC, ATRAC, ATRAC AL, PCM/wav audio codecs. When it comes to video, AVC (H.264), MPEG4 and WMV are supported. That's quite enough of the acronyms, though, as at just 7.2mm, Sony's latest Walkman series is its thinnest yet. And you only have to look at the photos to see they are definitely its most stylish range. While UK-centric information is thin on the ground, the latest A-Series range has a Japanese release date of October, with the 6GB A845 costing Y24,000 (£160); 16GB A846 priced at Y30,000 (£200); and the 32GB A847 retailing for Y40,000 (£266).